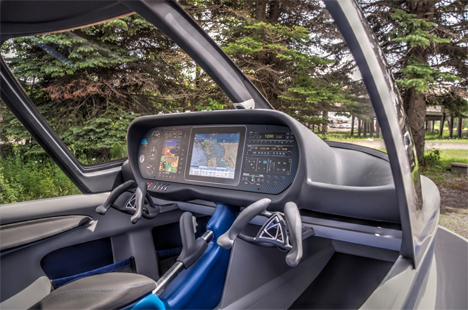 Planning a remote fishing/camping trip involves coordinating travel, accommodations, and transportation between the camping and fishing sites – but the “world’s most versatile plane” is about to make it much simpler. As long as you can afford $189,000 and a pilot’s license, anyway. 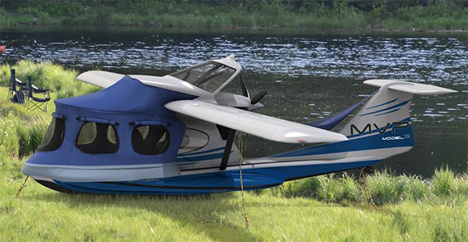 The MVP from MVP Aero is an insane combination of a plane, boat, and tent. 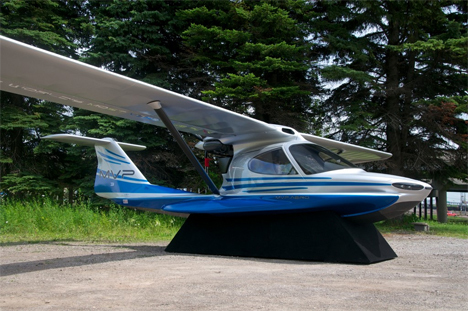 It’s classified as a Light Sport Airplane and can land on water, the ground, or snow depending on the gear that’s installed. 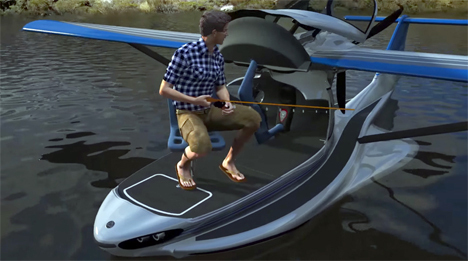 After you fly the plane to your destination, it can float on the water as your mobile fishing spot. 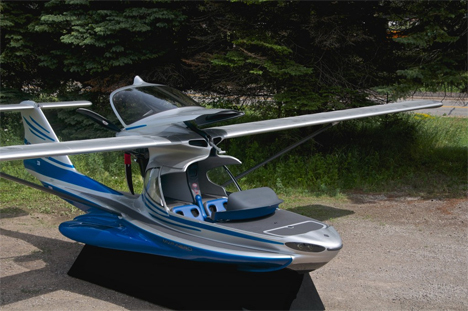 The motor can propel it through the water just like a boat, and the whole canopy of the plane opens up. The instrument panel swivels up to lock in place away from the water and extra floor panels cover the former seating area to create a fishing deck complete with pedestal seat. 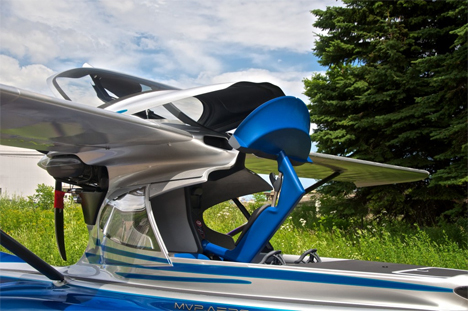 With the nose and instrument panel out of the way, you can spend all day on the water. 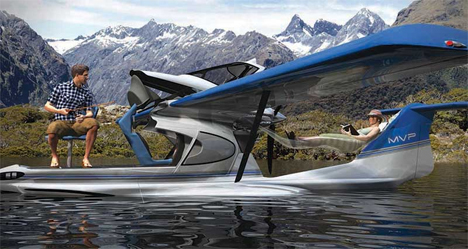 If you need to dock, the wings swing back to make for a streamlined vessel that can pull right into a standard slip. Once you’re ready to pack it in for the night, you can simply stay put and throw on the tent attachment. The tent uses the plane’s body for structure and gives you enough space for two adults to sleep comfortably. A hammock in the back can be used for daytime naps or for sleeping under the stars. As seen in the video above, the MVP can be used in a huge variety of configurations, and it’s not only for fishing trips – photographers, researchers, and tourists could all get plenty of use out of it. It’s a crazily ambitious project, but MVP Aero expects to offer it commercially by 2019, so start saving up now. See more in Concept Vehicles or under Transportation. December, 2014.